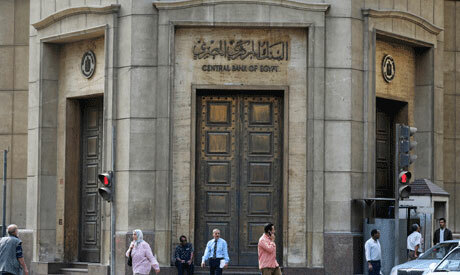 Egypt's central bank is largely expected to keep key interest rates unchanged at its meeting on Thursday, a Reuters poll showed on Tuesday, despite inflation rising higher than expected in October. Eleven out of 13 economists polled by Reuters said the bank's monetary policy committee was likely to leave its deposit and lending rates at 16.75 and 17.75 percent respectively. Two forecast that the bank would raise rates by 100 basis points. "Even though core inflation suggests that Egypt will be able to reduce inflation to below double digits in the medium term, the strong acceleration will require a response from the committee with a minimum of 100 bps rate hike this Thursday, in our view," Jaap Meijer, head of equity research at Arqaam Capital, said. Headline inflation rose for the third consecutive month in October to 17.7 percent, accelerating 2.6 percent month-on-month versus 2.5 percent in September, driven mainly by soaring prices of fruits and vegetables. Core inflation, which strips out volatile items such as food, also increased in October to 8.86 percent from 8.55 percent a month earlier. "We do not see the rise in annual headline inflation alarming, as it is driven by seasonal factors that will subside," said Alia Mamdouh, lead economist at Beltone Financial. In addition to rising inflation, Egypt has been squeezed by an emerging-market sell-off triggered by currency crises in Argentina and Turkey. "Weak investment makes a strong case for a rate cut," said Simon Williams, chief Middle East economist for HSBC. "But with inflation still high, capital outflows elevated and global risk appetite fragile, CBE's room for manoeuvre is limited and we see rates staying on hold." Egypt raised fuel, electricity and transport prices this summer, the latest reforms under its $12 billion International Monetary Fund loan programme signed in late 2016 that included a currency float, deep cuts to energy subsidies and tax hikes. The central bank's monetary policy committee raised rates by 700 points over the course of eight months after its November 2016 agreement with the IMF to dampen inflation. It then cut them in February and again in March this year by a combined 200 points.